Want to know about the cheese we make? Chapel’s Country Creamery is an independent, family-owned and operated farm nestled on 45 acres just outside of Easton, Maryland. 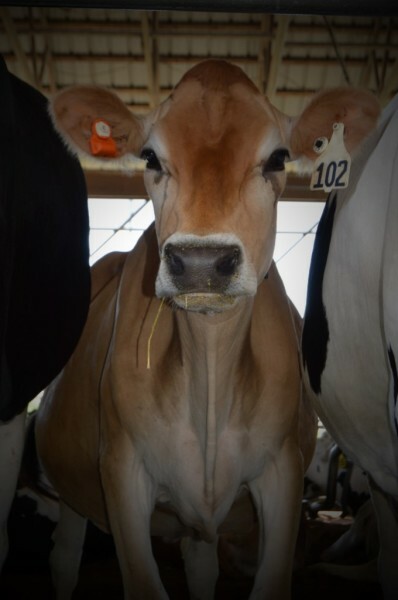 Our award-winning farmstead cheeses begin with fresh raw milk from our herd of registered Jersey and Holstein cows. Using time-tested methods, we then turn that cream-laden milk into handcrafted artisanal cheeses, full of flavor and wholesome goodness. We invite you to taste the difference! At Chapel’s Country Creamery, the cows are family. Each cow is registered and has a birth certificate, bloodline information, and, most importantly, a name. (A 2013 study showed that cows that were named produced more milk.) In order to keep the mothers and babies healthy, the cows are fed primarily corn, hay, and minerals, but the herd’s diet is augmented with time spent grazing on timothy and rye grass as well. The cows are not given any synthetic growth or production-enhancing hormones, just lots of love and attention. Trisha says, which is why they keep the herd at less than 70 head. As a result, the cows produce rich, creamy, high-quality milk that is then handcrafted into exceptional cheeses!